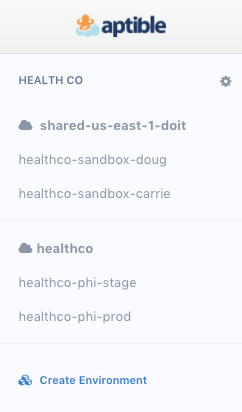 When creating a new Shared-Tenancy Environment, you can now pick from a selection of eligible Shared-Tenancy Stacks. For example, you can now deploy in us-west-1 (N. California) or eu-central-1 (Frankfurt). 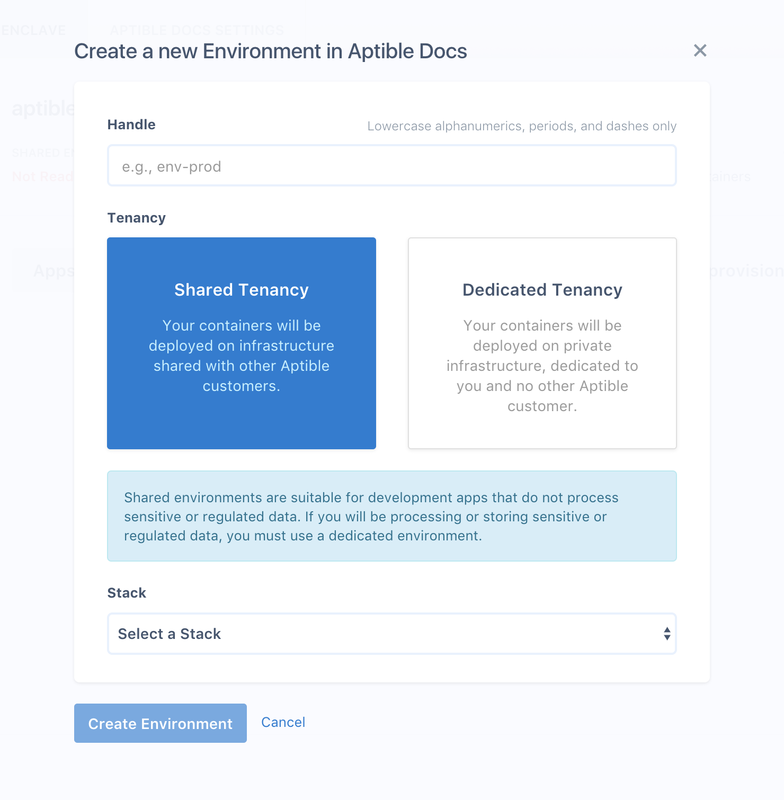 When creating a new Dedicated-Tenancy Environment, you no longer need to wait for us to activate your Environment after creating it. Instead, your Environment automatically activates, and you can start using it right away. As part of this change, we’ve also upgraded the Dashboard sidebar to show you not only your Environments, but also the Stacks they’re deployed on, which gives you greater visibility into how your Enclave resources are organized. Stacks are isolated virtual networks (AWS VPCs) consisting of a number of Docker hosts (AWS EC2 instances). Environments are mapped onto Stacks and provide a logical isolation layer. Apps and Databases for a given Environment are deployed on the Docker hosts for the Environment’s Stack. There is no network-level isolation between Apps and Databases belonging to different Environments if they are deployed on the same Stack. Stacks can be single-tenant (Dedicated Tenancy) or multi-tenant (Shared Tenancy). Environments that process PHI must be deployed on Dedicated-Tenancy Stacks as per your BAA with Aptible.